Each month or so I try to share the books I’ve been enjoying. I don’t share every book that I’ve been reading, just the ones I really like or think will be helpful to the majority of our readers. While I prefer physical books, I do believe that some books are very well suited for digital books. As always, before you purchase a book (on my recommendation or on someone elses’) check to see if you library has it. Then you can peruse the book for yourself and see if it’s one you really need to own. 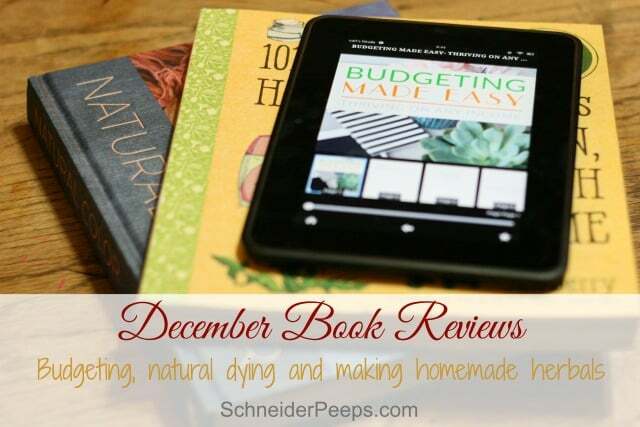 Budgeting Made Easy is a brand new ebook by Charissa from Cook With a Shoe blog. I’ve known Charissa (online) for a couple of years and I’ve been very impressed with her desire to keep her family on good financial footing while her husband finishes graduate school. I remember well the struggles we encountered when Carl was in school for the first decade of our marriage and I have a soft spot for anyone who is trying to make it through without going into debt. Charissa is a sign language interpreter and does that has her day job. However, she doesn’t work for just one company, she freelances. This means she gets several checks each month and they are all in different amounts. That can make for a budgeting nightmare. 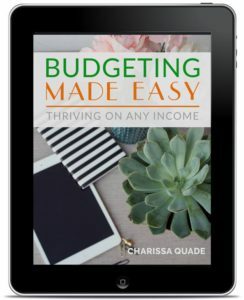 In Budgeting Made Easy, Charissa shares how she manages to budget and stay on the budget each month, even with a variable income. In the book, you’ll find information about prioritizing your expenses, making a budget, tracking your income, reducing debt, and emotional self care. Each chapter also has action steps to help you develop your own budget that will work for your circumstances. The system that Charissa recommends is very similar to the way we budged during the years that Carl didn’t have a full time job and instead worked several part-time jobs. Some months we would 8 or more paychecks coming in and it would have gotten very chaotic without a plan. 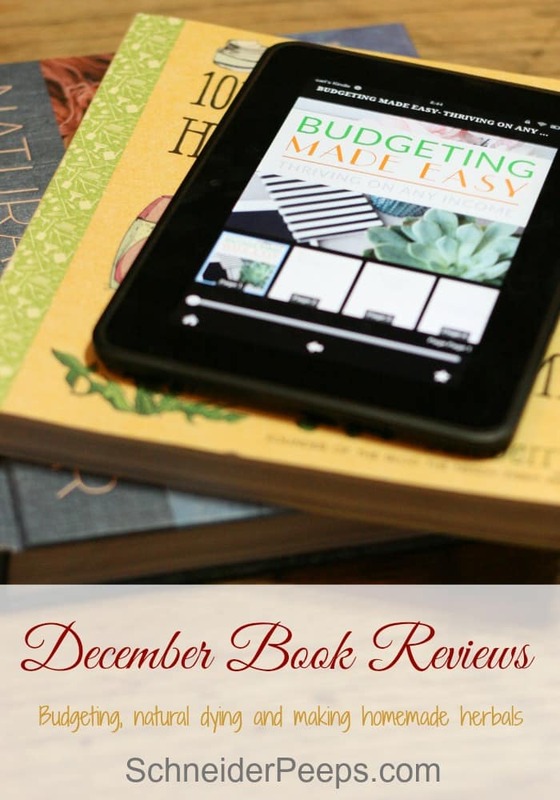 If you’ve had a hard time developing a budget that works, Budgeting Made Easy can help you. BUT only if you actually do the work and then have the discipline to stay on budget. Natural Color by Sasha Duerr is a book I received from Blogging for Books and loved. I’ve been wanting to try my hand at dying cloth and rope for our rope baskets for quite a while. But I don’t want to use store bought dyes. 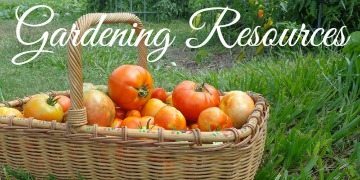 Natural Color covers the basics of how to dye cloth plus which plants are good for using. One thing I really appreciate about Natural Color is the photos. They are beautiful, but also useful. For instance, the author uses a stack of pillows in cases to show what happens with different avocado pit ratios and what happens when you use iron to the bath. It’s a great visual. Natural Color is divided by seasons and each season has suggested plants and projects. I love that even though the author is well educated in natural dying, she makes the dying process seem doable for even the most inexperienced dyer (that would be me). 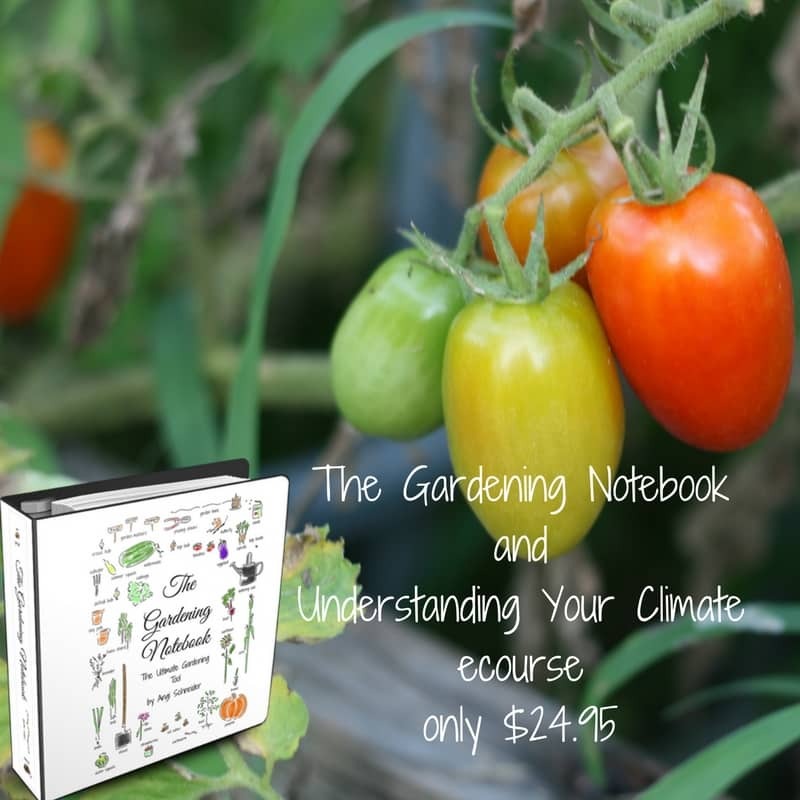 In Natural Color, you’ll learn how to use avocado pits, calendula flowers and rose petals, black beans, pomegranate rinds, red cabbage, black walnut, and leaves such as loquat, fig, and sweet gum, and many other plants in your dying hobby. I received a copy of 101 Easy Homemade Products for Your Skin, Health & Home by Jan Berry several months ago. Oh my, we’ve had fun with this book! We’ve made bath fizzies, dry shampoo, and bath melts, to name a few. They have all been fun and easy to make. 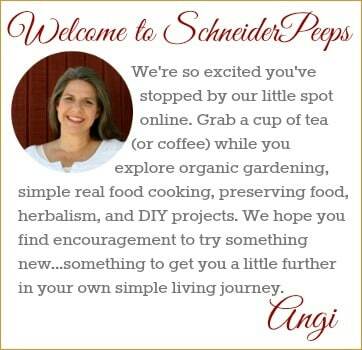 One of the things I like best about these recipes is that they use the whole herb and not just essential oils. I can easily grow herbs in my garden and that makes these ingredients “free”. There are beautiful photos of almost every recipe, the book is well laid out, the recipes live up to the books title in being easy and the book lays flat (something I really appreciate in recipe books). Now, it’s your turn. What good books have you been reading lately? If you’re reading this by email, be sure to click over and leave your recommendations in the post. Hi Dear Angie..Merri here formerly from Willow House in Virginia, Mn now moved to Northfield Mn 250 miles south in Mn still. I just wanted to thank you for all your wonderful posts here I tell people about them a lot. I also what to tell you I am ok..moved ok. and settling into this lovely town. I will send you some photos of Northfield..home to the St Olaf Choir and St Olaf college. and Carleton College. I am living at the base of the St Olaf College here and looking up and out I see the tallest of the student buildings originating from the 1900’s….the campus is magical with tons of little lights all the time making the walkways. St Olaf Lake is not far and it is utterly enchanting. On Saturday the town is filled with Vendors and when I am set up next year I can have my computer down there and linked to your stuff and offer it to folks who stop by for Aren Lerner’s books. I am going to try to sell them here for them. Do you need book three yet? Did you post a review. I HOPE you will do that..it would boost them so much. I got the library here to take the books so hope someone wants to read good writing.